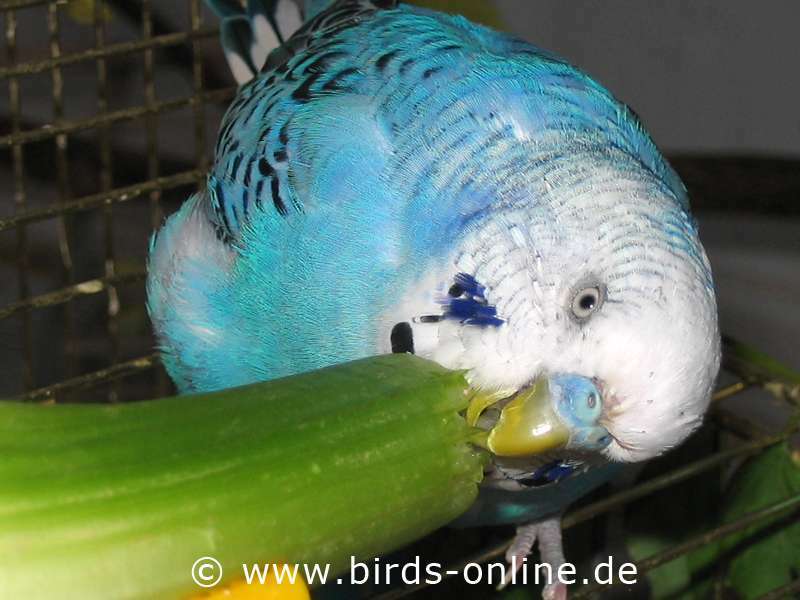 Vegetables are a very important part of a healthy nutrition for pet birds. 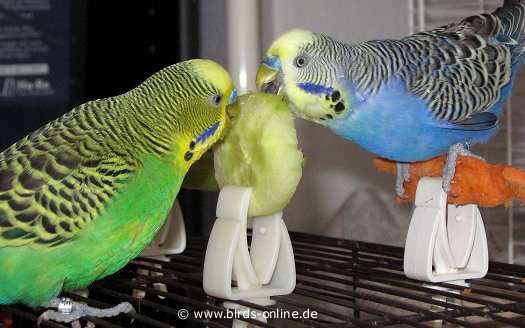 Even most picky birds can become used to vegetables if their owners offer this fresh food regularly. 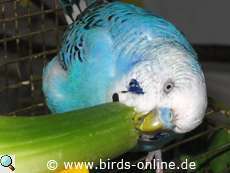 There are many sorts of vegetables which are suitable for feeding pet birds. But even though most vegetables are tasty and healthy it is important to consider how they have been grown. Some vegetables are contamined with pesticide residues. These toxic substances can cause severe poisonings in pet birds. Such poisonings can damage organs or even be fatal. Therefore bird owners should choose organic vegetables or grow them in a garden without using pesticides. Please do never offer Avocado to your pet birds. It's too fatty and what is more important: The parts near the kernel (seeds) are toxic for birds! Do you think there is any sort of fresh vegetables missing on this page? If so, please feel free to drop me a line. Thank you! Dear international readers, I recieved several messages with the question where one can buy the food clips like the one that is shown in the picture above. I live in Germany and I suppose it won't be helpful for you to know where you could buy them in my country. Regrettably I can't answer that question for each and every other country in the world, but I think that it's quite easy for you to find a shop that will ship these clips to your country.